I'm just taking a wild guess that this could be a kingfisher. I was on Bahamas cruise and this was taken while I was in Nassau. 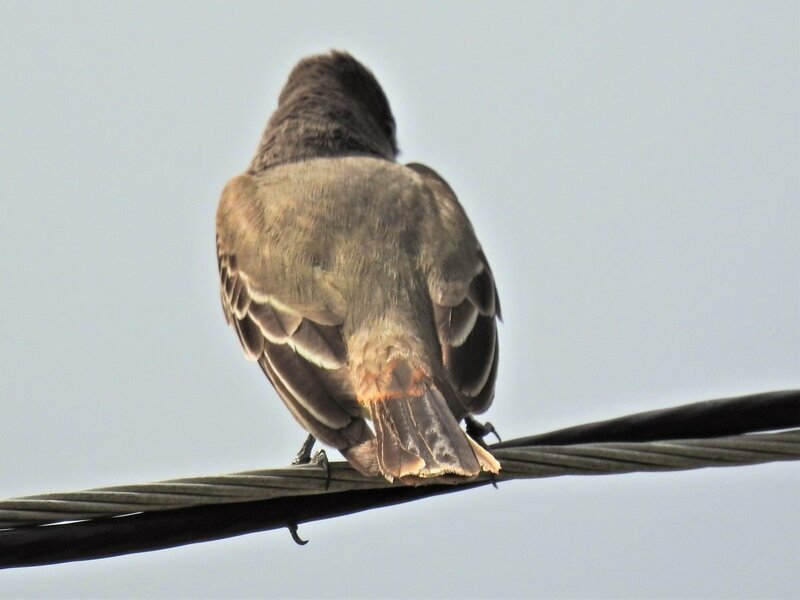 It was perched on the power lines and traffic was quite heavy moving right under it but it was not perturbed and remained there for quite a while. These all the same bird? Gray Kingbird gets my vote. 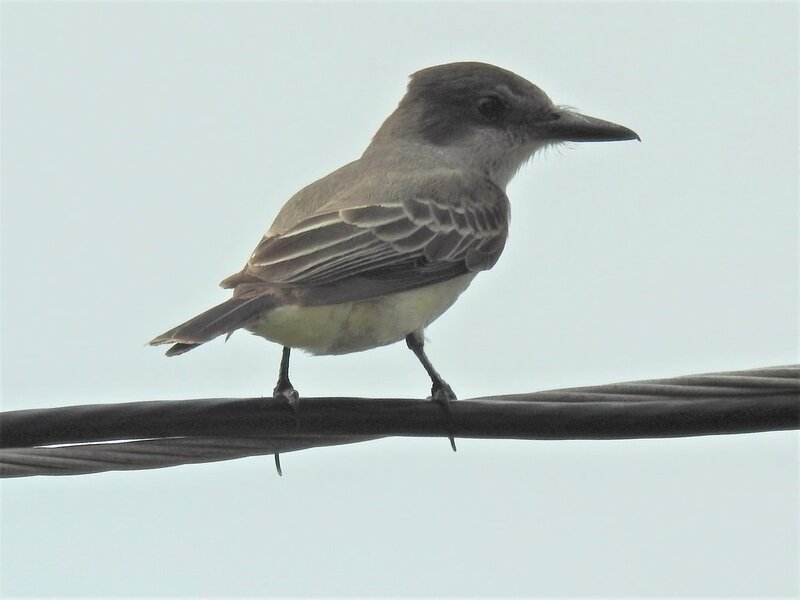 Nassau, Bahamas was where I saw my one and only Gray Kingbird. 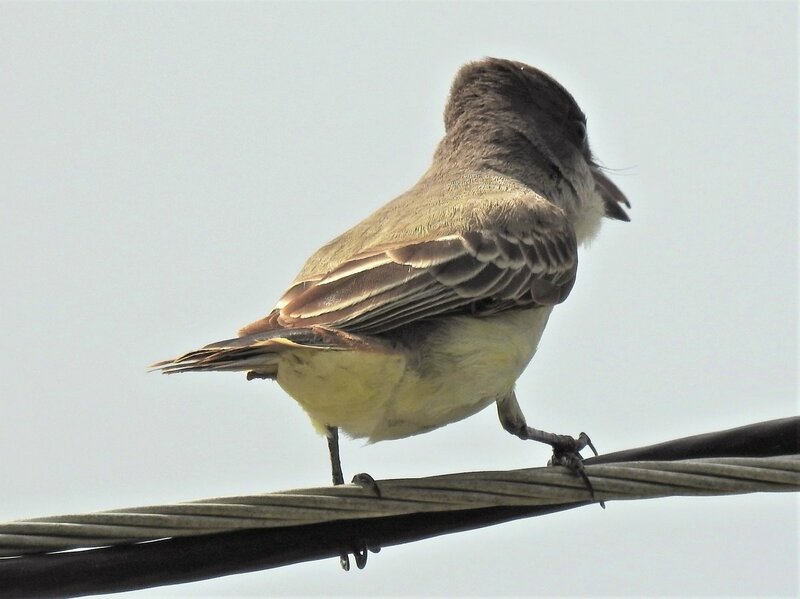 This is a Loggerhead Kingbird. Gray Kingbird would be more gray with a dark mask. Loggerhead Kingbirds on the Bahamas are green and yellowish like this bird. Thank you very much for this. I'll proceed with the change in my log. Appreciate it.